It Mitsubishi EK Wagon G variant, 2014 Model Imported & registered in 2017. 4 Grade and it was 18815KM done when imported, just 4000 KM driven in Pakistan as it was being used as 3rd car of the family. Set your Alerts for Mitsubishi Ek Wagon in Lahore and we will email you relevant ads. 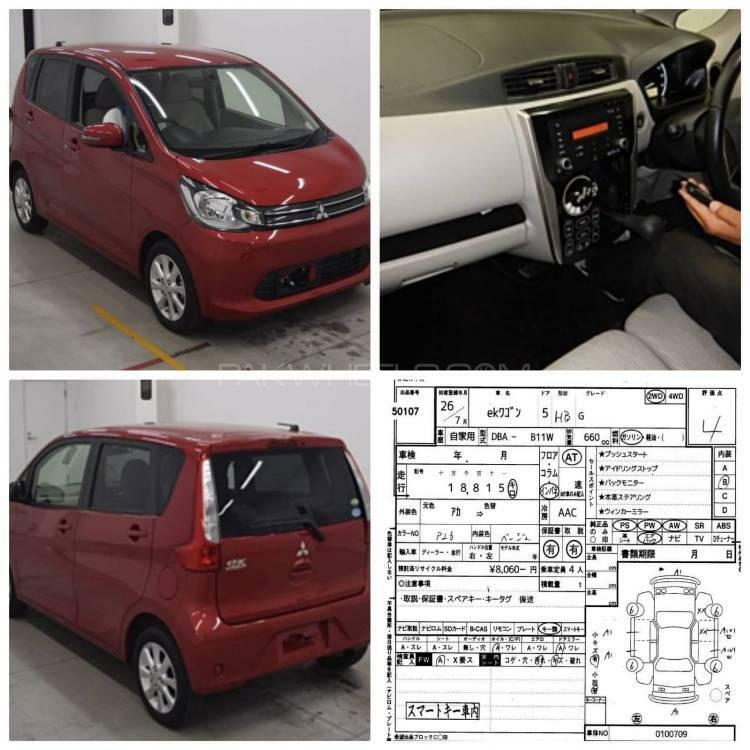 Hi, I am interested in your car "Mitsubishi Ek Wagon G 2014" advertised on PakWheels.com. Please let me know if it's still available. Thanks.